Srinagar: Gunfight erupted between government forces and militants in Chakoora village of southern Kashmir’s Pulwama district Wednesday evening. 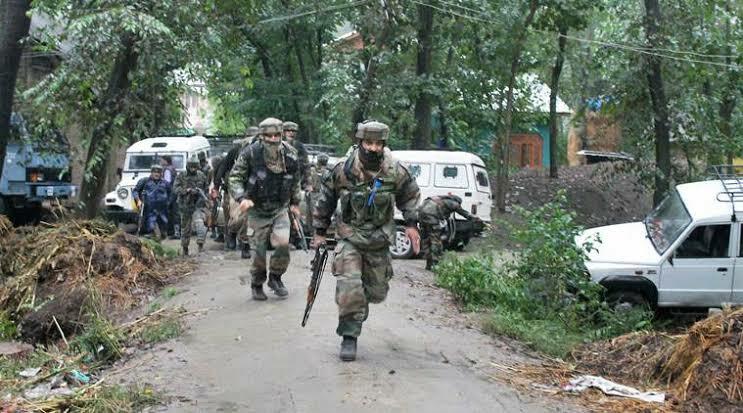 Reports quoting officials said that a joint team of government forces including army’s 55 RR, SOG of Jammu and Kashmir police and paramilitary CRPF launched a cordon and search operation in the area. As the searches intensified, the militants fired on the forces triggering a gunfight. Meanwhile reports said that intense clashes have erupted near the gunfight site between civilian protesters and forces. As the gunfight raged, youths took to streets and pelted government forces with stones triggering clashes, sources said. The government forces, they said, used tear smoke shells to disperse the protesters.